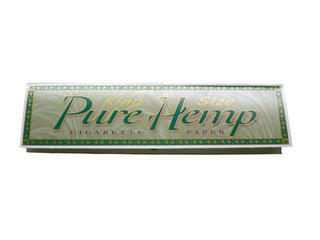 Pure Hemp brand cigarette rolling papers manufactured from hemp by the Smoking company of Spain. 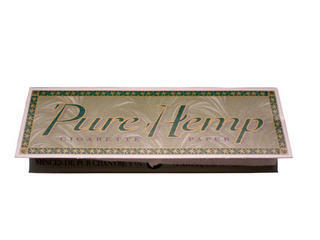 Pack containing 50 regular (70mm)leaves of 100% hemp, with the "Pure Hemp" watermark, extra light slow burning paper (15g/m2). 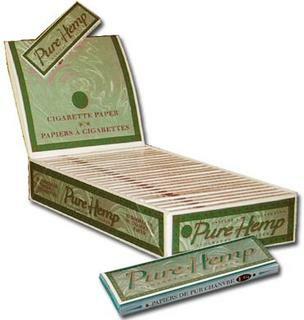 A carton of 50 packets of Pure Hemp standard rolling papers. 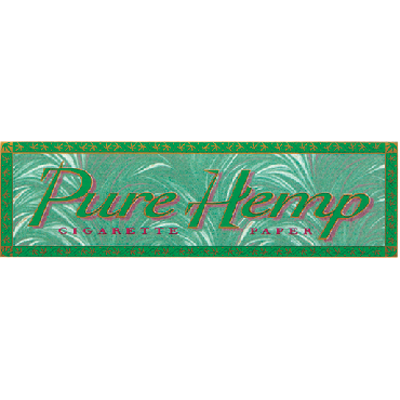 Packs containing 50 1.1/4 (79mm) leaves of 100% hemp, with the "Pure Hemp" watermark, extra light slow burning rolling papers(15g/m2). 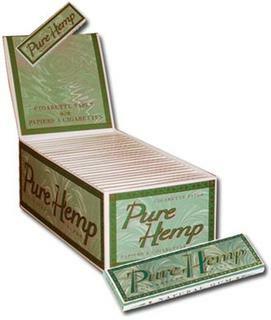 Carton of 25 packs (containing 50 1.1/4 (79mm) leaves in each pack) of 100% hemp, with the "Pure Hemp" watermark, extra light slow burning rolling papers(15g/m2). Pack containing 33 Kingsize (110mm)leaves) of 100% Hemp, with the "Pure Hemp" watermark, extra light slow burning rolling papers(15g/m2). 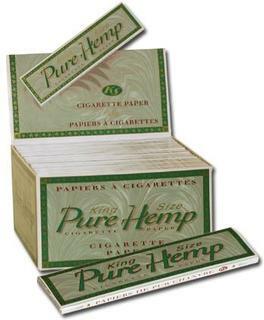 A carton of 50 packs (each containing 33 Kingsize (110mm)leaves) of 100% Hemp, with the "Pure Hemp" watermark, extra light slow burning rolling papers(15g/m2).